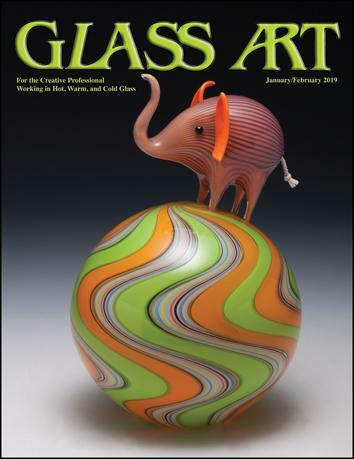 Editor Shawn Waggoner reminds readers that the content of the January/February 2019 issue reflects, in part, The Year of the Woman with coverage on the glass art of Claire Kelly and Lacey St. George-Walton. Also featured is flameworking pioneer Shane Fero, who has brought his early work into a contemporary context. In work that examines the connections that humanity has with animals and our larger relationship to the world, Claire Kelly has created a series of fantastic microcosms that bring a consciousness to their decorative status. Her unique glass art reminds us of the role that animals play in the grander scheme of life. The modern masterpieces of Lacey St. George-Walton, aka LaceFace, exemplify the power and spirit of women while speaking volumes about the artist’s determination to succeed in the male dominated functional glass world. From her studio in Ashland, Oregon, she pushes the limitations of the medium while serving as a motivated community leader. Shane Fero’s legendary hot glass avian forms have been sought after and cherished by collectors worldwide for nearly five decades. His work relies on thought provoking elements to attract and hold the attention of viewers and has sharpened in the last 16 years with his blown bird series based on German flameworking techniques. The Board of Directors of the Glass Art Society (GAS) was pleased to announce the 2019 Lifetime Awards to be presented at the organization’s 48th annual conference. The honorees, both of whom are know for their flameworked sculptural glass, include Lifetime Artistic Achievement Award winner Ginny Ruffner and Lifetime Membership Award winner Robert Mickelsen. The Toledo Museum of Art (TMA) organized a major exhibition to share the story of 200 years of American ingenuity in glassmaking. Celebrating Libbey Glass, 1818–2018 presented more than 175 outstanding examples of glass from TMA’s renowned collection as well as objects and materials from the Libbey Glass archives. In 2017, the Contemporary Glass Society (CGS) celebrated 20 years since its founding as the principle supporter and promoter of artists and collectors of contemporary glass in the U.K. To continue the celebration, CGS has chosen Bucks County Museum in Aylesbury for its Glorious Glass exhibition to demonstrate how amazing contemporary glass is. The Art Glass Association of Southern California (AGASC) recently finished its 37th Annual Members Exhibition that included amazing, quality art produced by the organization’s members. Judges Deanne Sabeck and Beth Solomon Marino share their thoughts on the high quality of the entries and the importance of the work being able to move viewers. Paul Tarlow’s business enterprise thrives on a wellspring of personal energy, enthusiasm, and distractibility. Known to be a generous glass art educator, he operates Helios Fused Glass Studio, a brick-and-mortar education and retail center, and writes online e-book tutorials on fusing techniques and makes them available at fusedglassbooks.com. 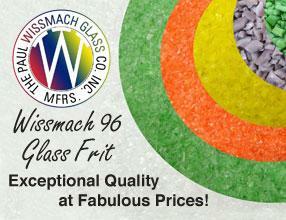 A glass lathe is one of the most versatile machines for applying decorative cold working to glass art. In the past they have been very expensive and extremely heavy. Recently a less expensive, more easy to handle version makes it possible for every studio to have access to this valuable glass art accessory. In 2017, the Society of Mosaic Artists (SAMA) put out an open call to members to create a 6" x 6" mosaic using their own materials and original designs. The resulting collection, One Hundred + Moments in Mosaics, will be shown in three exhibitions to demonstrate mosaic techniques, tools, and materials to thousands of visitors. Readers share their thoughts on profiles and articles featured in recent issues of Glass Art. 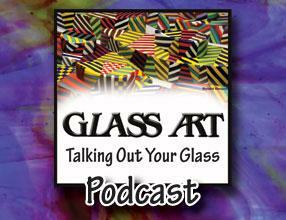 Listeners also provide the insights into the lives and work of renowned glass artists they experienced during Glass Art podcasts on Talking Out Your Glass. Mark Angus’ 80 Capriccios and the Disturbances of the Self is a culminating artistic luxury punctuating a career of commissioned artwork for churches and public buildings throughout Great Britain. Since 1979, the stained glass artist has created more than 300 windows, specializing in mouth-blown flashed glass articulated with glass painting, acid etching, and silver staining. The American Glass Guild (AGG) awards thousands of dollars in scholarships each year. Because the AGG wants to be sure that any stained glass educational opportunity is available to any glass artist, the organization founded the James Whitney Scholarship Fund, which is supported by the annual auction of members’ glass art creations.